Published at 13/05/2017 09:47:19 from Argentina, 13767 visits. 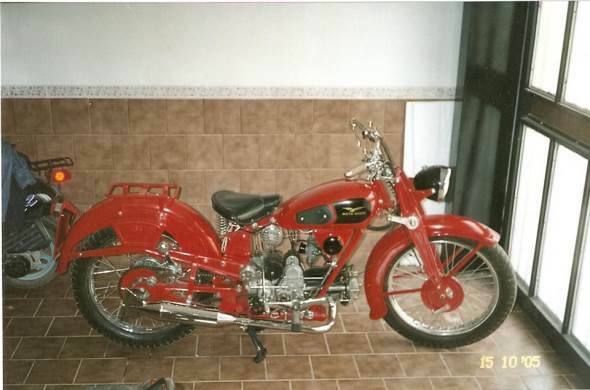 Vendo Moto Guzzi Airone 250 cc in 1946, original, immediate post war, rare model with cycling full sheet stamped, sold in 1946 in Agency of Torino, Italy and brought to the Argentina by its first owner of 0 km. at the end of the 2nd. World War. Reempadronada, I am the proprietor, in Campana, Buenos Aires.